Great for cooking, this Silver Skillet 550CM condensed cream of mushroom soup will be a versatile addition to your kitchen! Prepare it in a variety of ways by adding it to soups or chowders, using it to create creamy sauces, serving it in a bread bowl, or mixing it into hearty casseroles or traditional pot pies. With so many dishes to prepare, Silver Skillet makes it easy to add affordability and convenience to your food service operation. Not only does this soup offer quick and easy preparation, which ultimately provides excellent service to your guests, but it also does not sacrifice quality, homemade taste. 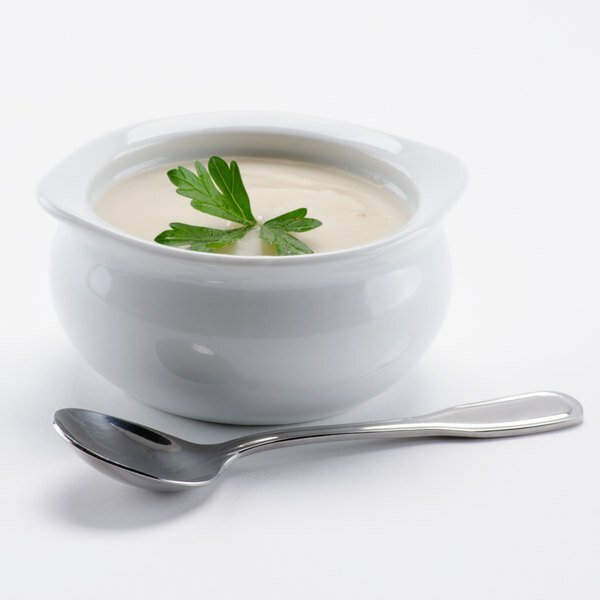 Satisfy your guests and create delicious entrees with this condensed cream of mushroom soup! Popularly used to create green bean casserole or beef stroganoff, this soup is made from tender diced mushrooms blended into a smooth base that includes cream, nonfat milk, and a hint of onion and natural flavorings. The thick mixture with a creamy broth is rich in flavor, yet low in sodium. 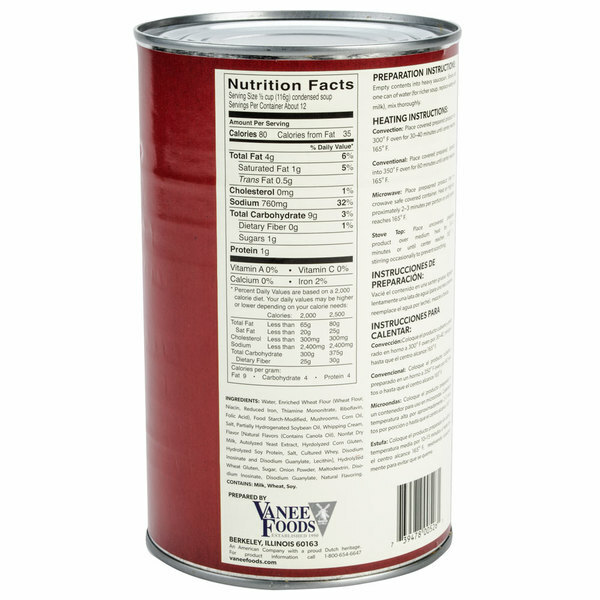 This soup can enhance many menu items at your school, health care facility, restaurant, hotel, or diner. The classic, familiar taste of this cream of mushroom soup will help you create dishes that will keep your guests coming back for more! The Silver Skillet cream of mushroom soup is amazing and has a great thickness that is perfect for serving with our cornbread. We love the soup so much. 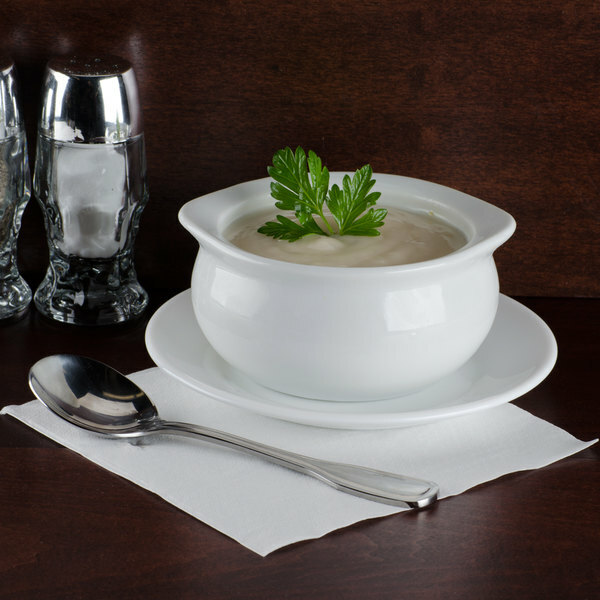 The cream of mushroom soup is marvelous and is a great price at well. A great soup to use when making casserole like our green bean. Adds flavor and a nice creamy texture to dishes. A super good brand of cream of mushroom soup that really adds a great texture to my dressing. The soup is high quality and well priced. 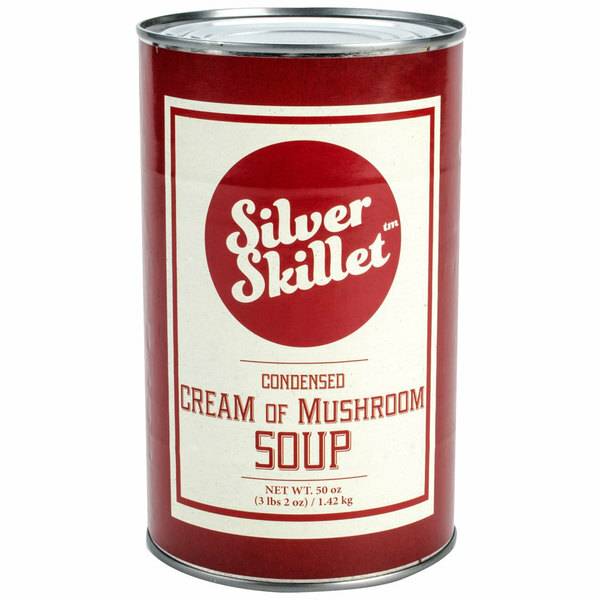 The Silver Skillet 50 ounce can of cream of mushroom soup is easy to prepare and serve. It adds a rich, creamy flavor to dishes. A great soup that is warm and soothing to a sour throat. The cream of mushroom is also great for making casseroles and our vegetable lasagna as well. Silver skillet has a great cream of mushroom soup at a wonderful price. The cream of mushroom is perfect for making our green bean casseroles. A great soup nicely packaged in a sturdy can. Great flavor. I have a large family and we go though cans of this for meals. I find the size works great as a base to sauces and dishes without the extra cost of smaller retail cans. Is there a 6 star we could use? This is a great tasting Cream of Mushroom Soup and has saved time trying to make one from scratch. I love cream of mushroom soup. I was happy with the price and the size of this can. The taste was good, nice and creamy. I made mine with water and it was still just as good. The mushroom pieces were a nice size as well. This is a really great product for the price you are paying. It easily compares with any name brand cream of mushroom soup you can find. Cream of mushrooms are versatile product that has many use. It can be mixed in with soups, chicken breast strips, ground pork and make it one hearty meal. The price is great! I just started using this Item and it has a good taste and I would use it again. The price is good for what you get.